Your receipt of an order confirmation does not signify our formal acceptance of your order, nor does it constitute confirmation of our offer to sell. Chocolate Baroque reserves the right, at any time after receipt of your order, to accept or decline the order or, in the case of stock shortages, to supply less than the quantity you ordered of any item. Should this happen we will contact you to discuss any changes to your order before proceeding. You can pay for your order by credit or debit card. We use secure payment services provided by SagePay and PayPal, so you can be sure that your card details are protected. We regret that we cannot accept cheque payments for retail orders. All our prices are shown in GB Pounds (Sterling) and are inclusive of VAT (currently 20%). When you reach the checkout any shipping charges will be added to give you the total amount to be paid. For International Customers, if you already have a Paypal account and you elect to pay using this method, then the amount due will be shown in your currency of choice when you make the payment in Paypal. For International Customers outside the EU (e.g. US, Canada, Australia, etc.) VAT is not chargeable and will be deducted from the price that you pay. Our website can display prices in several different currencies, however all transactions are processed in GB pounds (Sterling) and prices shown in other currencies are estimates based on current exchange rates. See our Currency Conversion page for more details. There may be times when the product you have ordered is out-of-stock or we discover that the last one on the shelf is damaged. On these occasions we will contact you prior to despatch to discuss how you wish us to proceed and if an alternative would be acceptable. Following on from your instructions we will then adjust your order accordingly and refund the cost of the product, plus any shipping charges, if necessary. VAT is charged on all products at the current rate of 20% for any orders shipped within the UK and Europe. VAT will not be charged on items shipped to the US and other countries outside of the EU. Chocolate Baroque is not liable for any customs or import charges incurred by customers purchasing from outside the UK and Europe. Import duties, customs charges and any other such taxes are levied in the customers' own country and are the sole responsibility of the customer. They are usually collected by the local postal or courier service when they deliver the item in the destination country. Full information about our delivery terms and conditions can be found on our Delivery and Returns page. We accept returns if goods are faulty or damaged or if we ship you the wrong product or even if you just change your mind. However, there are some limits and restrictions on our return policy so, for the full details, please check our Delivery and Returns page. 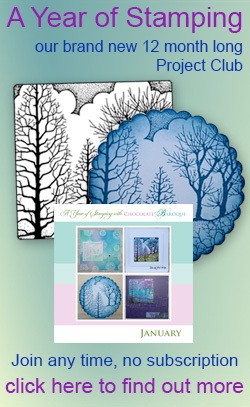 In the event a product is listed at an incorrect price due to typographical error or error in pricing information received from our suppliers, Chocolate Baroque shall have the right to refuse or cancel any orders placed for any product listed at the incorrect price. 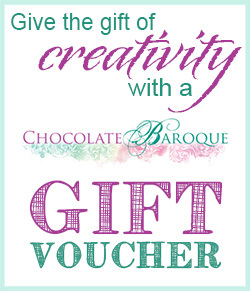 Chocolate Baroque shall have the right to refuse or cancel any such orders whether or not the order has been confirmed and your credit card charged. If your credit card has already been charged for the purchase and your order is cancelled, Chocolate Baroque shall immediately issue a credit to your credit card account in the amount of the incorrect price. Unless otherwise specified, all materials appearing on this site, including the text, site design, logos, graphics, icons, and images, as well as the selection, assembly and arrangement thereof, are the sole property of Chocolate Baroque, Copyright © 2011-2014, ALL RIGHTS RESERVED. You may use the content of this site only for the purpose of shopping or placing an order on this site and for no other purpose. No materials from this site may be copied, reproduced, modified, republished, uploaded, posted, transmitted, or distributed in any form or by any means without our prior written permission. All rights not expressly granted herein are reserved. Any unauthorized use of the materials appearing on this site may violate copyright, trademark and other applicable laws and could result in criminal or civil action. These Conditions will supersede any terms and/or conditions you include with any purchase order, regardless of whether Chocolate Baroque signs them or not. We reserve the right to make changes to this site and these Conditions at any time.